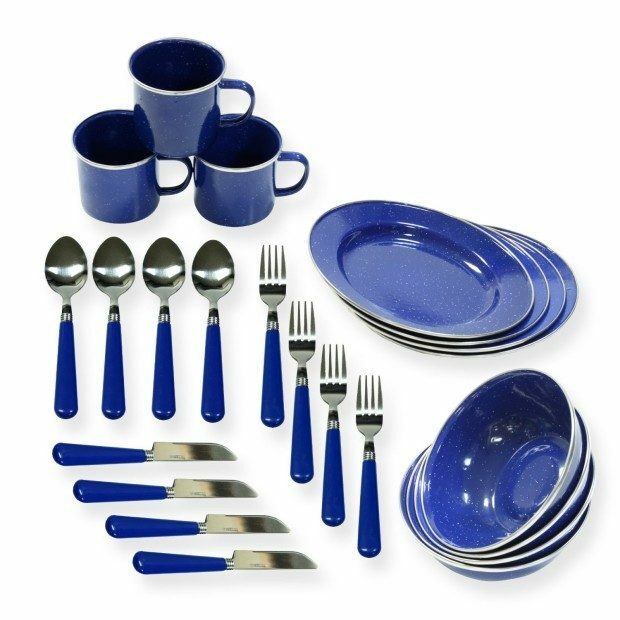 Stansport Enamel Tableware Set Only $23.32! You are here: Home / Great Deals / Amazon Deals / Stansport Enamel Tableware Set Only $23.32! Stansport Enamel Tableware Set Only $23.32!! Do you seem to be missing bits of your camping gear from year to year? Here’s a chance to stock up on your tableware! The Stansport Enamel Tableware Set is Only $23.32! Made out of high quality durable steel with a double-coated blue glazed enamel yet lightweight and compact!